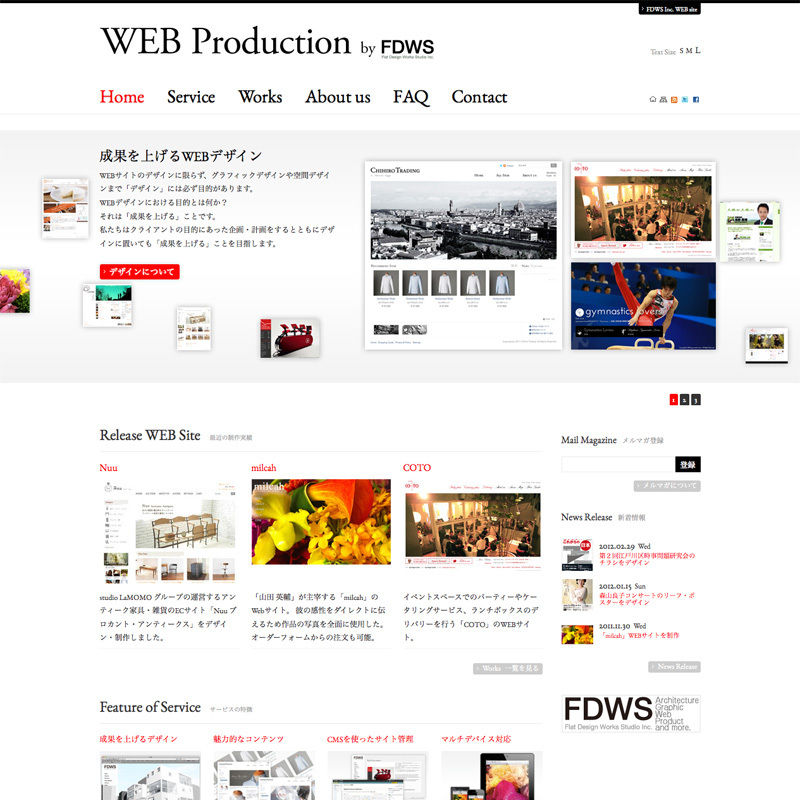 WEB Production by FDWS | Graphic / CI,VI | Projects | FDWS Inc. 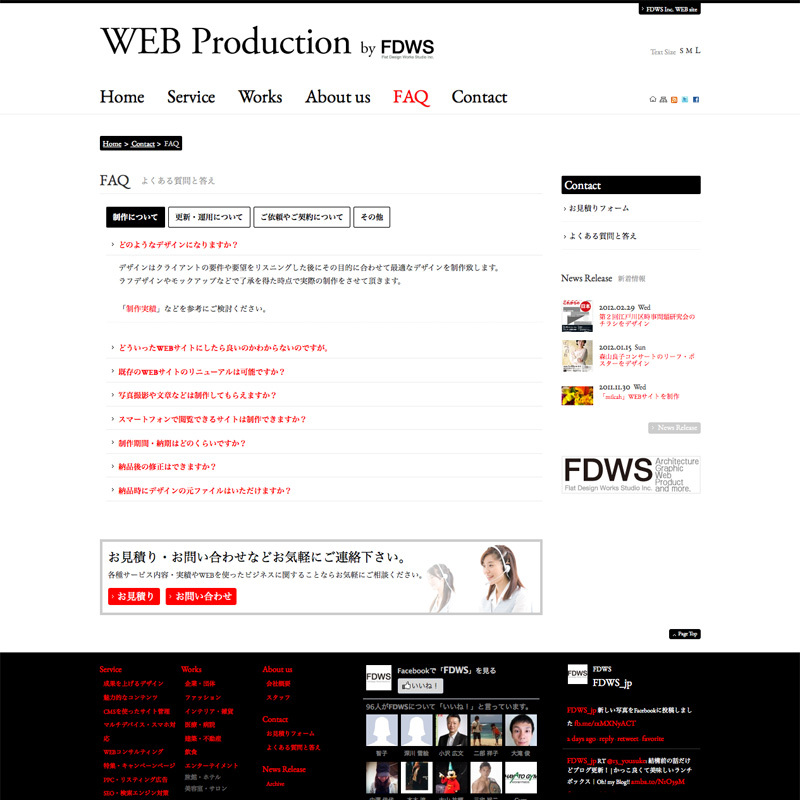 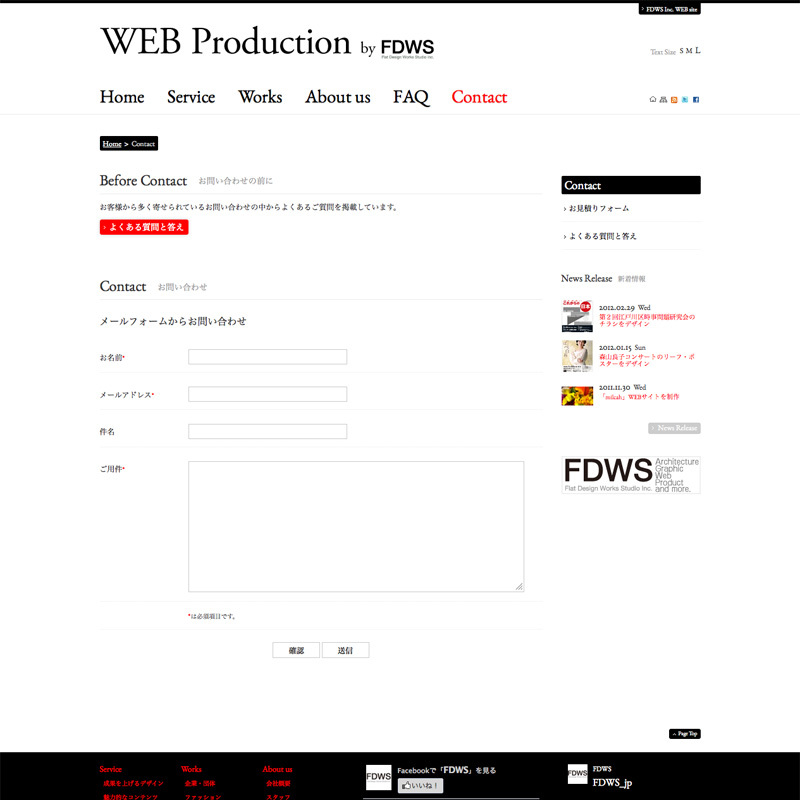 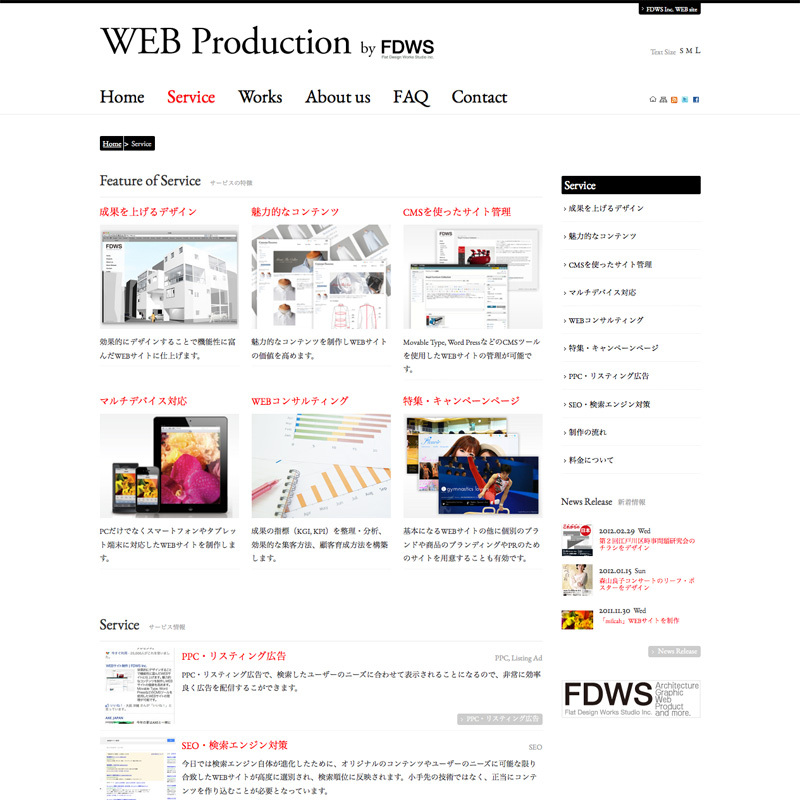 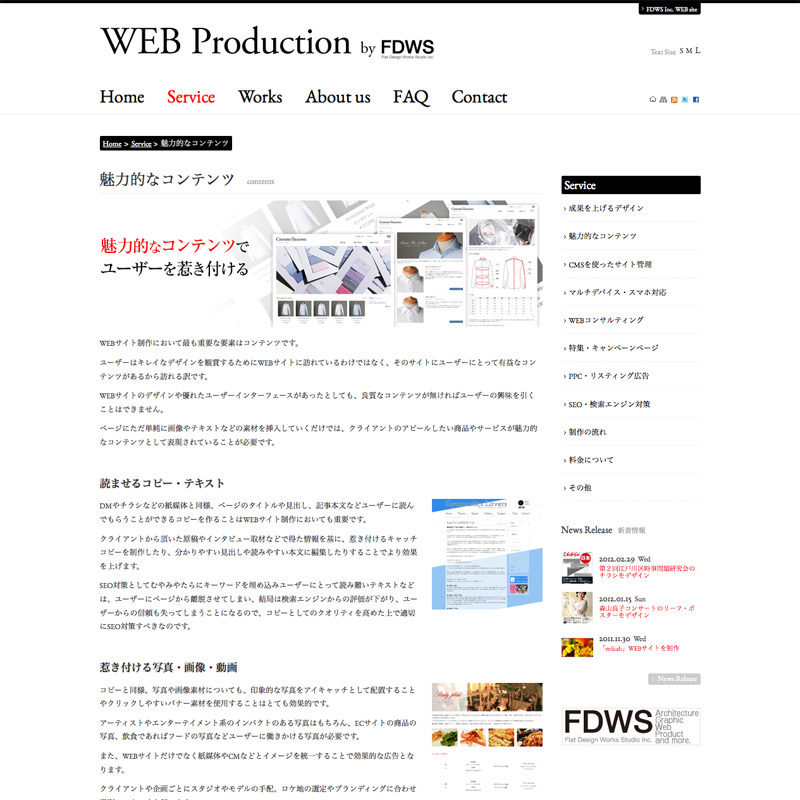 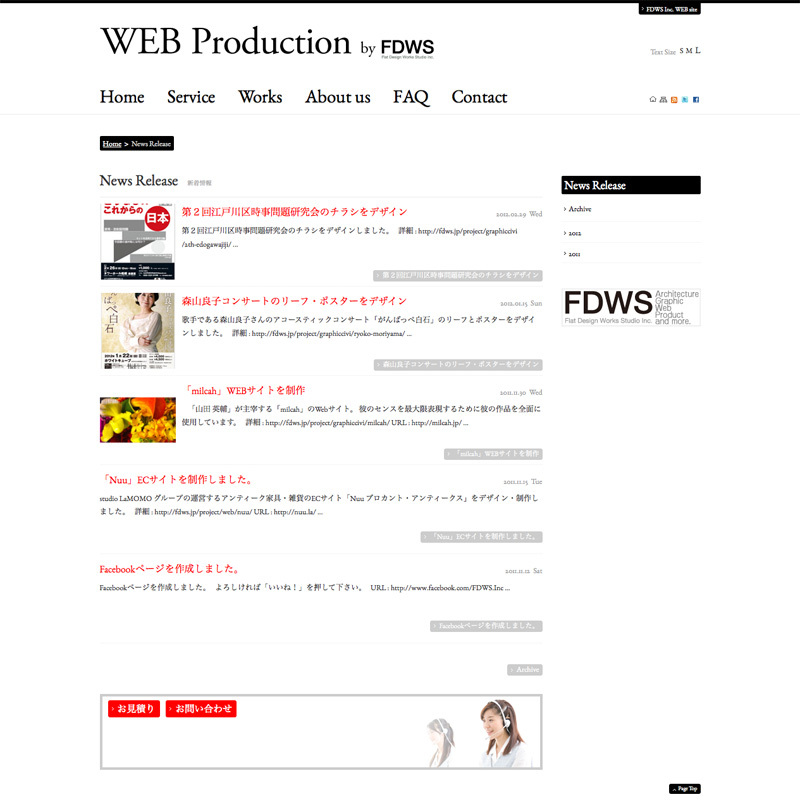 WEB site "WEB Production by FDWS" of the production division of WEB "FDWS Inc.". 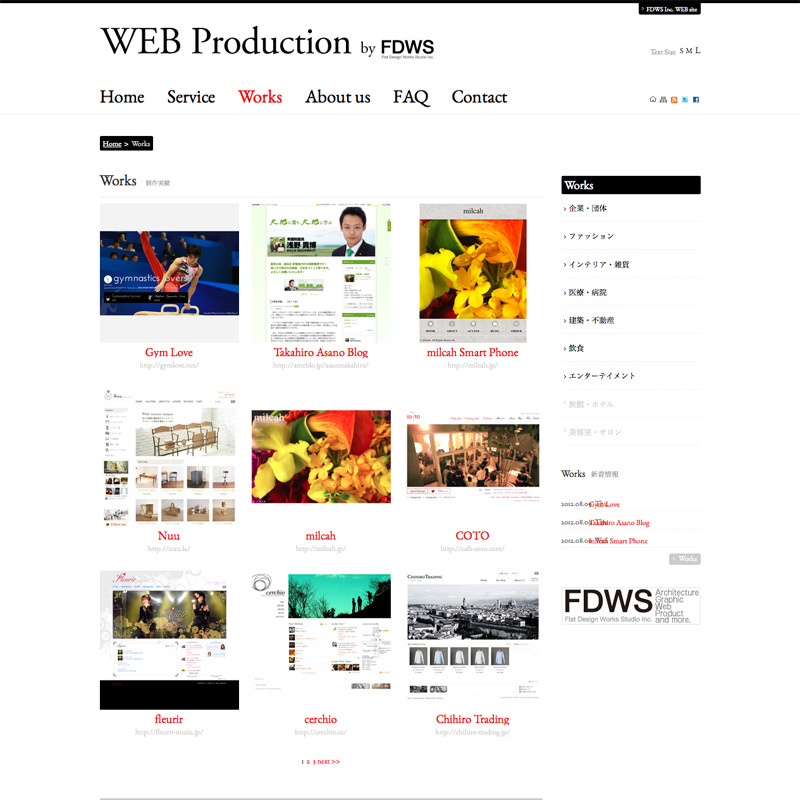 WEB design as that adopted the orthodox layout, are taking the way to eliminate the decoration as much as possible, show only content. 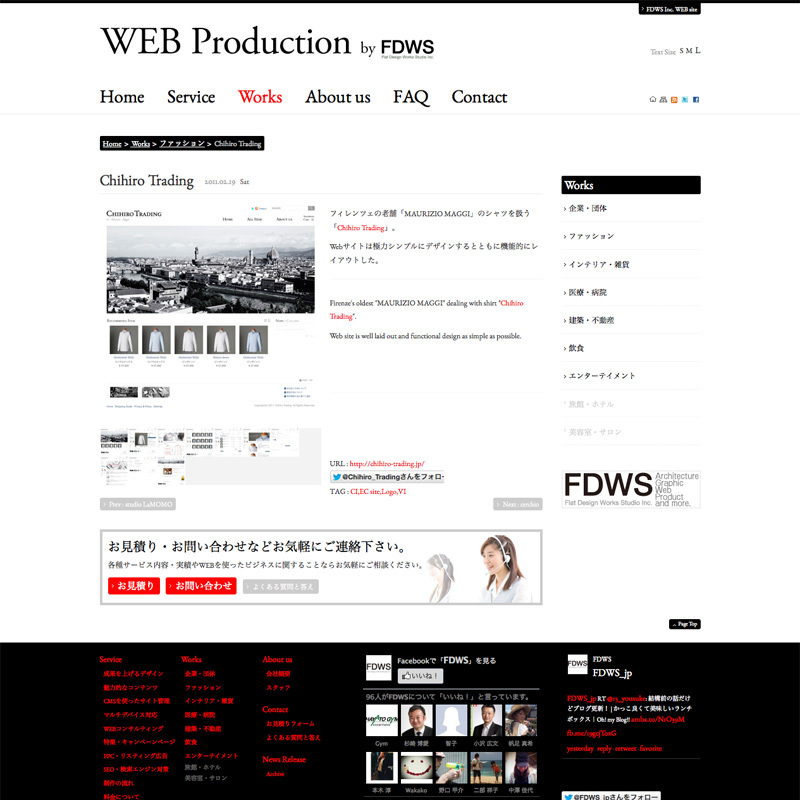 Basic color scheme that you are using the Red as an accent to the White × Black. 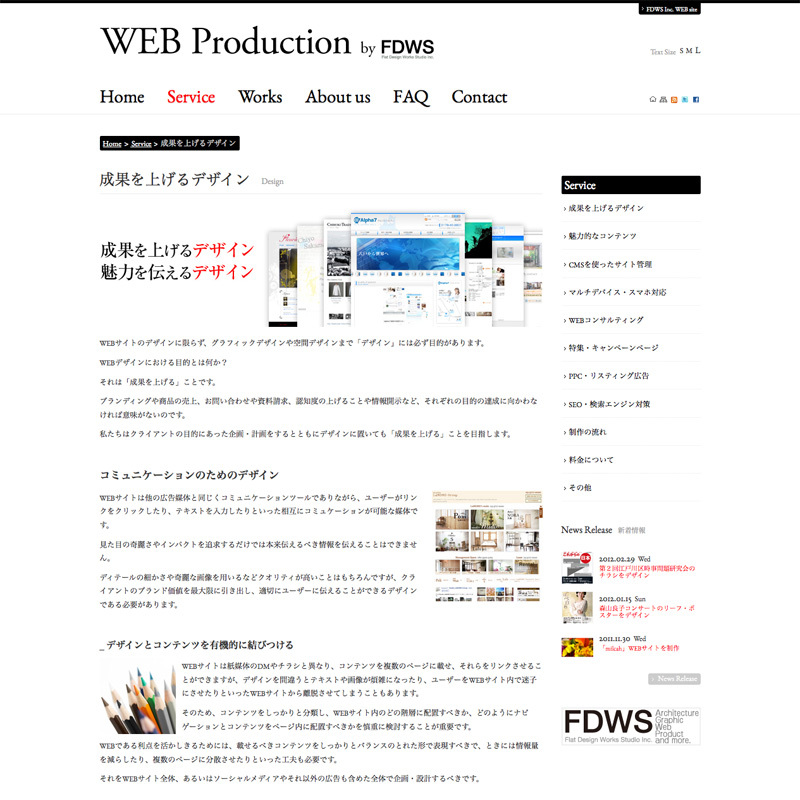 These are the antithesis to the design has been decorated in countless meaningless on the Internet, is also embodied and manifest FDWS of "Less is More" is shown. 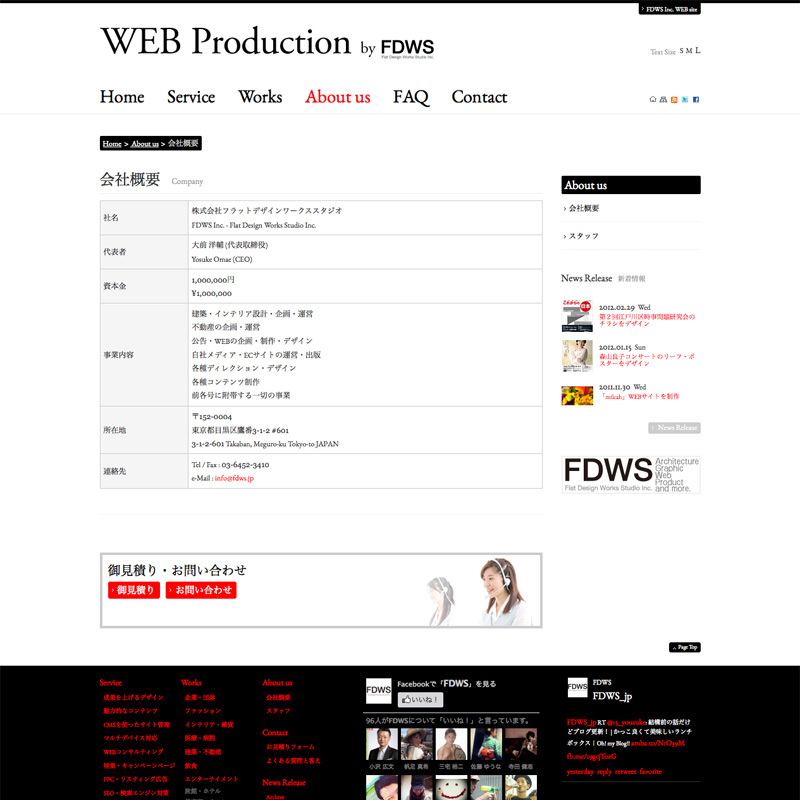 Copyright(c) 2016 FDWS Inc. All Rights Reserved.